Alfonso Domingo, (Turégano, Segovia, 1955), a Journalism and Political Sciences graduate specialised in Latin American Studies, is an international journalist, war reporter, documentary director (over 100 films, 20 series, 4 national and international awards) and writer. In 1999 he founded Argonauta Producciones, where he is now Executive Producer. 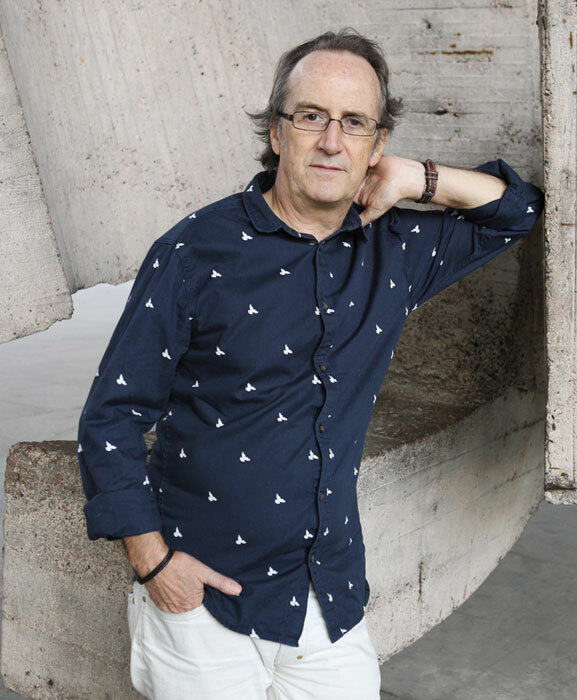 From his extensive film-making career, recent highlights include: Recovered Memory (Argonauta Producciones and Spanish Public Television (TVE)), a five-part documentary series on the Spanish Civil War, which he directed in 2006; Souls Without Borders (Diagrama Producciones and TVE), the story of the Lincoln Brigade, co-directed the same year; The Sahel, Our Border (Argonauta Producciones, 2009) exploring Mali, Senegal and Burkina Faso; Under Every Flag: Spaniards in World War II (TVE, Canal de la Historia, Argonauta Producciones and Galician Public Television (TVG), 2009). In 2012, Alfonso co-directed We Were Sleeping, We Woke Up, a portrait of Spain’s 15M movement as seen from the inside, followed in 2015 by Invisible Heroes: African Americans in the Spanish Civil War. Alfonso’s most recent release, Melchor Rodriguez, the Red Angel, directed in 2016, took second place in the Imaginera Awards organised by the Centre for Andalucian Studies. Alfonso’s literary works have also garnered a number of prizes. These include: The Mother of the Voice in your Ear (1991), Madrid Book Fair Award; The Solitary Star (2003), City of Salamanca Book Award VII Edition; The Black Mirror (2011), Seville Athenaeum Prize; The Enigma of Tina (2012), City of Valladolid Athenaeum Prize. In 2014, he published The Ballad of Billy the Kid.